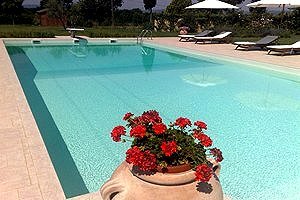 Built in the 18th century, the building (6+2 sleeping accommodations) was originally a typical Tuscan farmhouse, which has then been renovated respecting the original structure and converted into an elegant holiday villa. 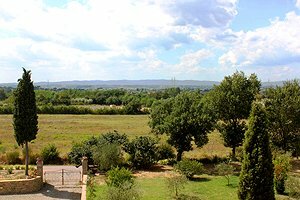 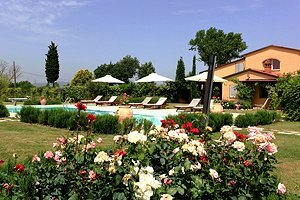 The villa is immersed in the green Tuscan countryside, close to the town of Cortona, in the Valdichiana, and is the ideal accommodation for those who want to spend their holidays in a unique place. 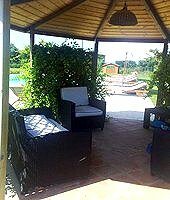 In the 4000 m² garden that surrounds the building are the swimming pool (7x14 m) with a whirlpool corner, a furnished gazebo and the barbecue equipment. 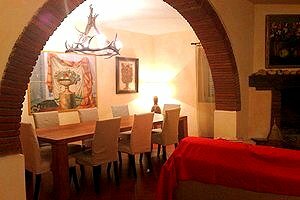 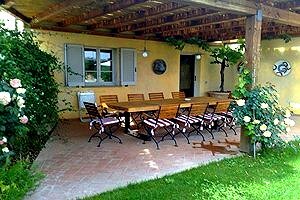 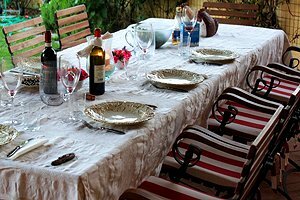 On the front and at the back of the big house (220 m²) are two verandas furnished with tables sitting respectively 8 and 12 people. 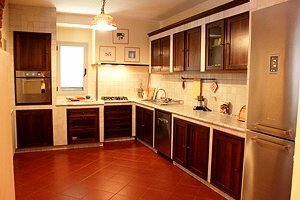 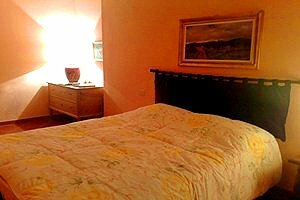 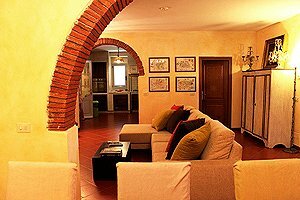 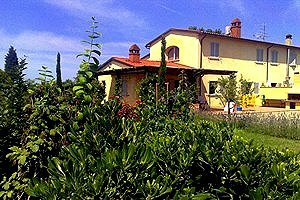 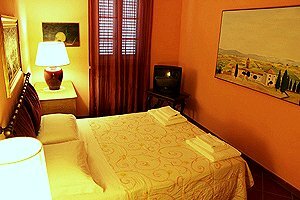 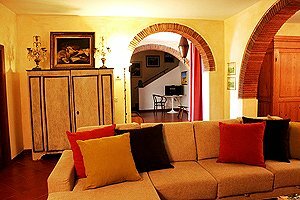 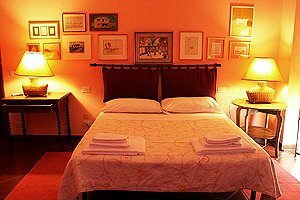 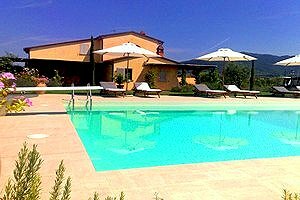 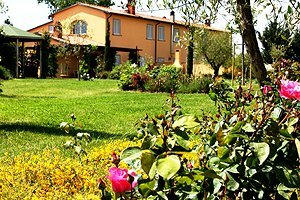 Furnished in the classic Tuscan style, the villa (3 double bedrooms + double sofa bed and 2 bathrooms) is provided with TV, air conditioning in the bedrooms, Internet connection, children's toys and washing machine. 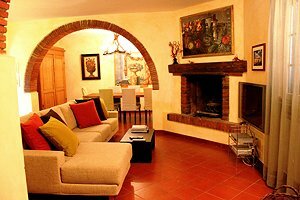 The ground floor composes of a hallway, a large kitchen, a dining room with table for 10 people, a living room with fireplace, big sofa and plasma TV, a study with double sofa bed, an ante-bathroom and a bathroom with shower. 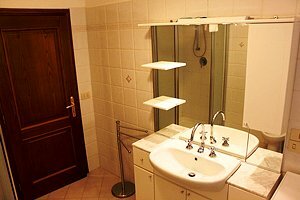 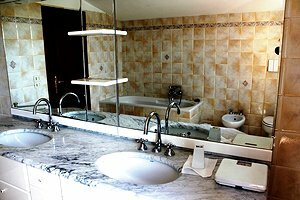 On the first floor are 3 double bedrooms and a large bathroom with bathtub.